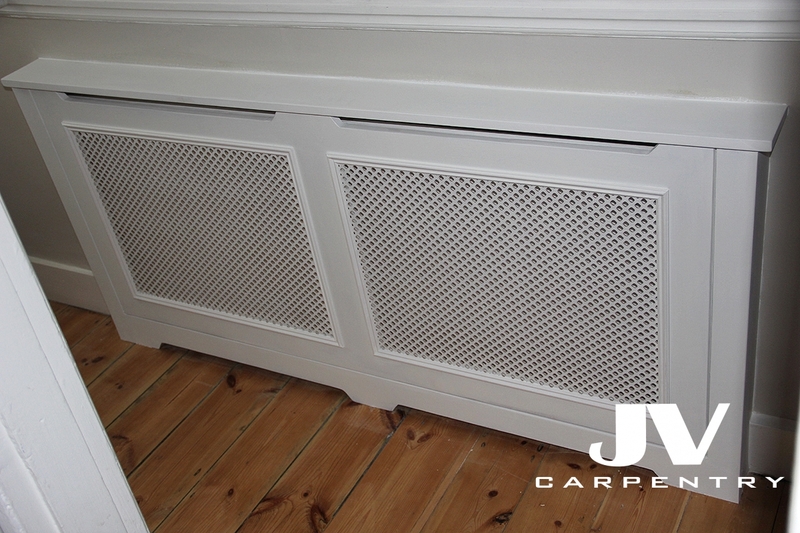 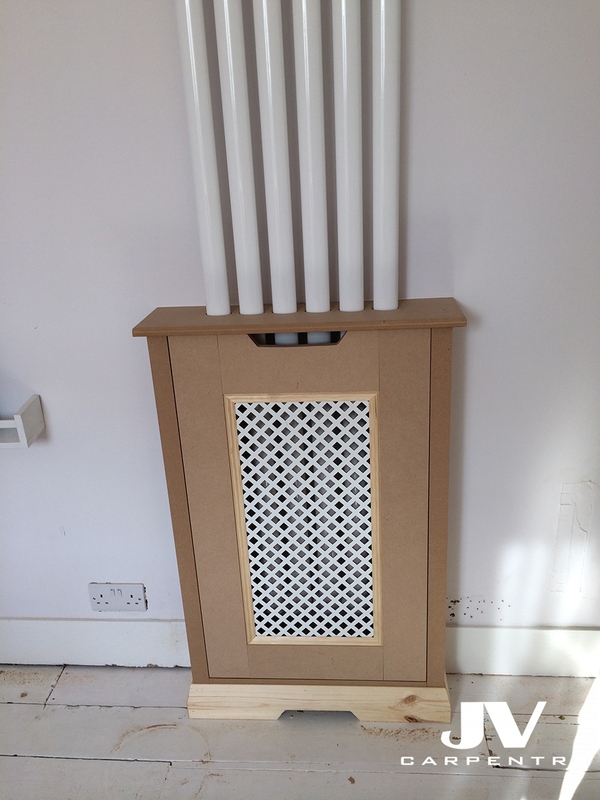 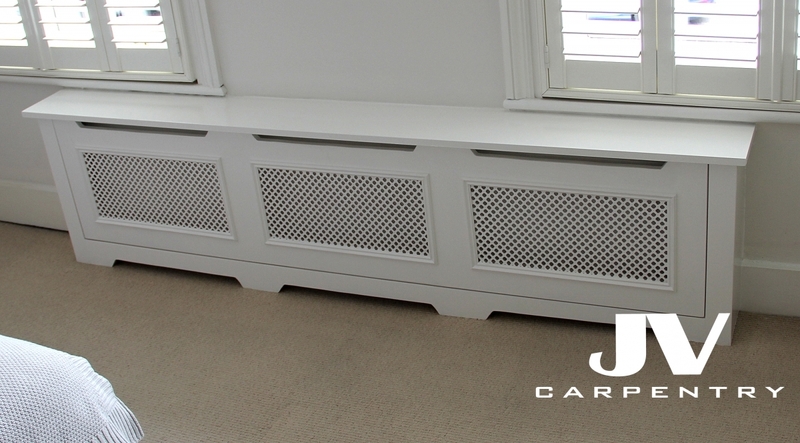 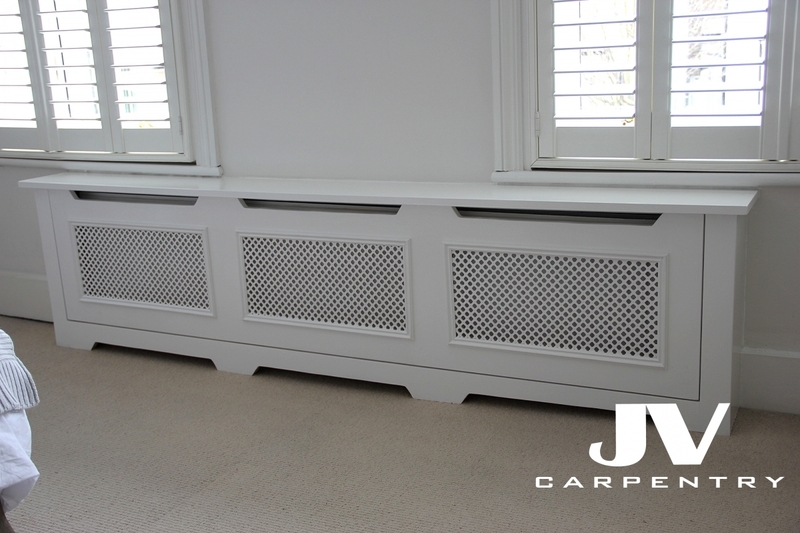 Here at JV carpentry we can make bespoke radiator covers they can be fully fitted with removable front panel for an access to the taps. 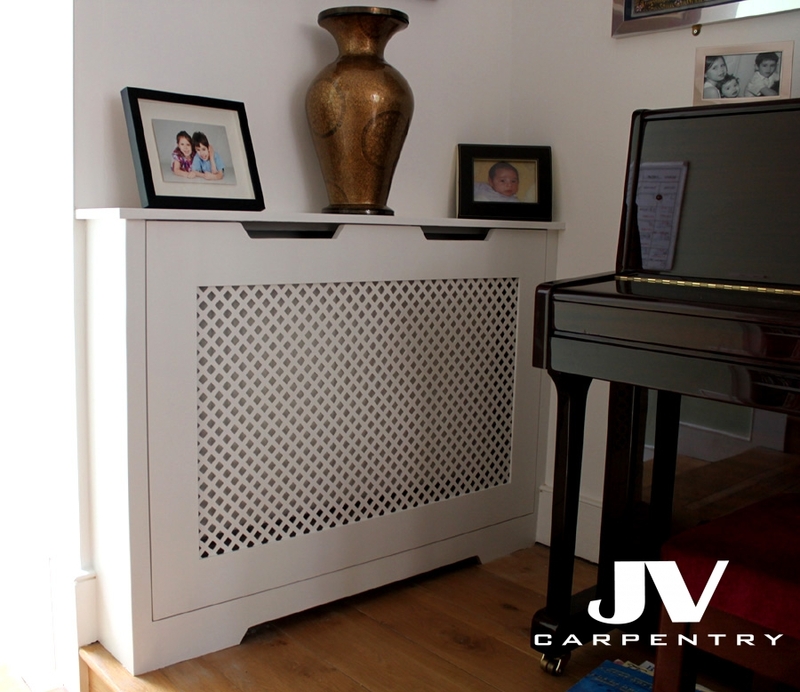 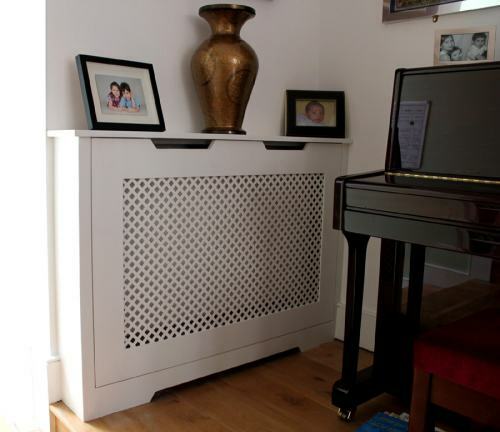 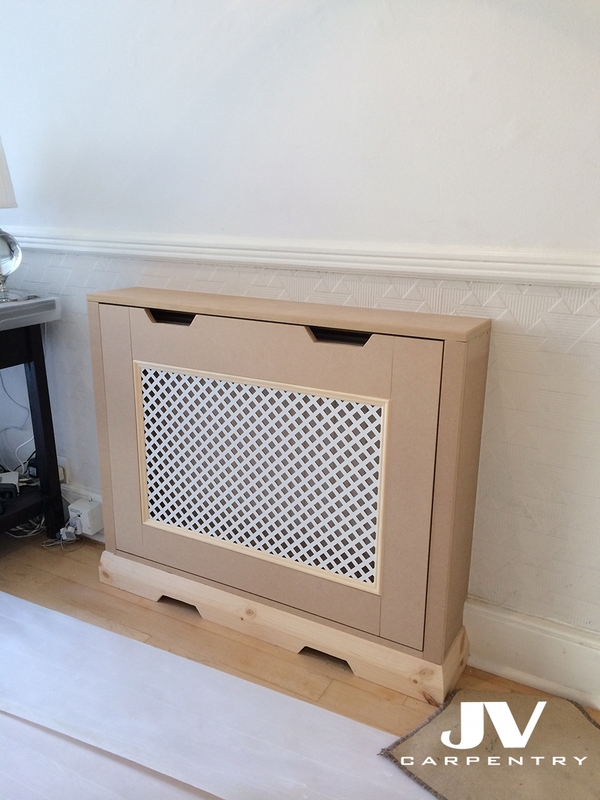 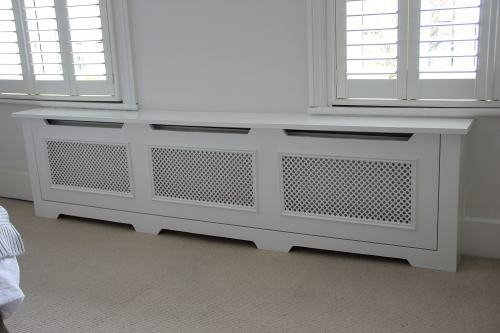 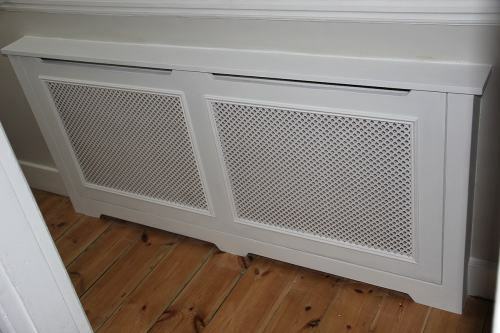 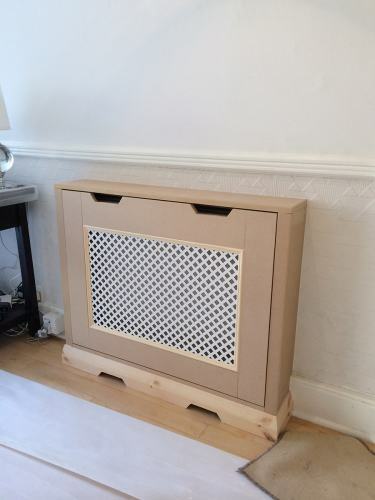 Our bespoke radiator covers will provide you with an extra shelving space where you can display a picture frame or place some other items as well as keep traditional look of your property. 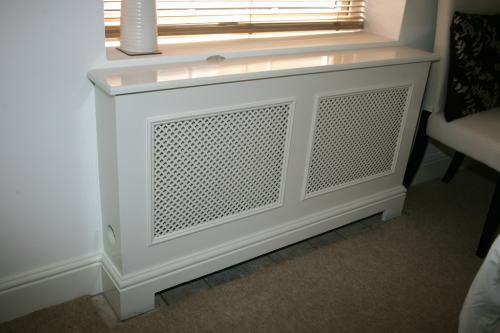 It can be a nice piece of fitted furniture and can perfectly match your fitted wardrobes or cupboards at your home. 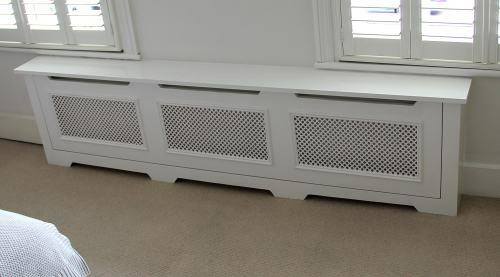 If you have a radiator in the hallway an extra shelf above it with nice grilled front will protect your child from burning the hands as well as create a perfect place to keep your mail on top of the shelf. 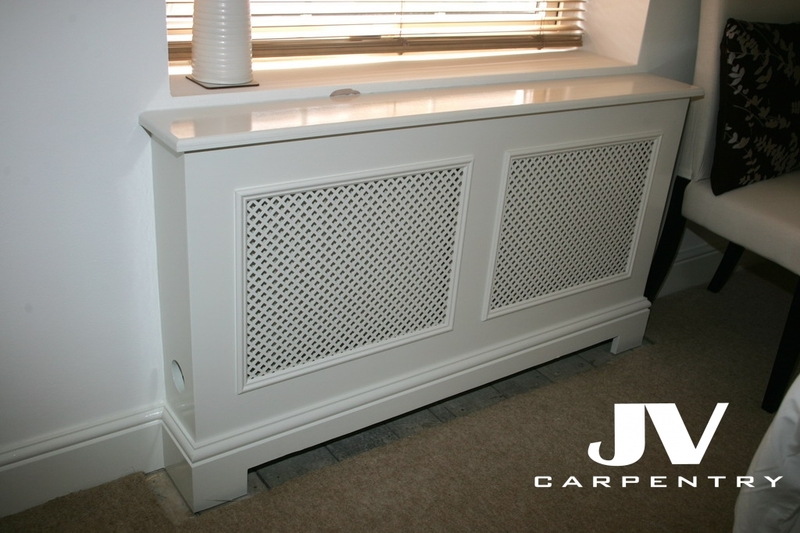 This nice piece of fitted furniture might block a tiny amount of heat but will add a nice décor and won't take any of the useful space at your home.